We’re spoiled for choice when it comes to WordPress hosting providers. The Content Management System (CMS) is so popular that there’s an entire sub-industry built around its hosting needs. Some of those hosts cater themselves to a more tech-savvy crowd, and Flywheel fits into that category. Flywheel offers a lot of features geared towards WordPress developers and designers that make it a very unique web host. In this article, we’ll introduce you to the platform, discuss its key features and pricing, and help you determine if it’s a good fit for you. When it comes to hosting providers, you usually have two flavors: those that market themselves to site owners and the ones for the people who make websites. 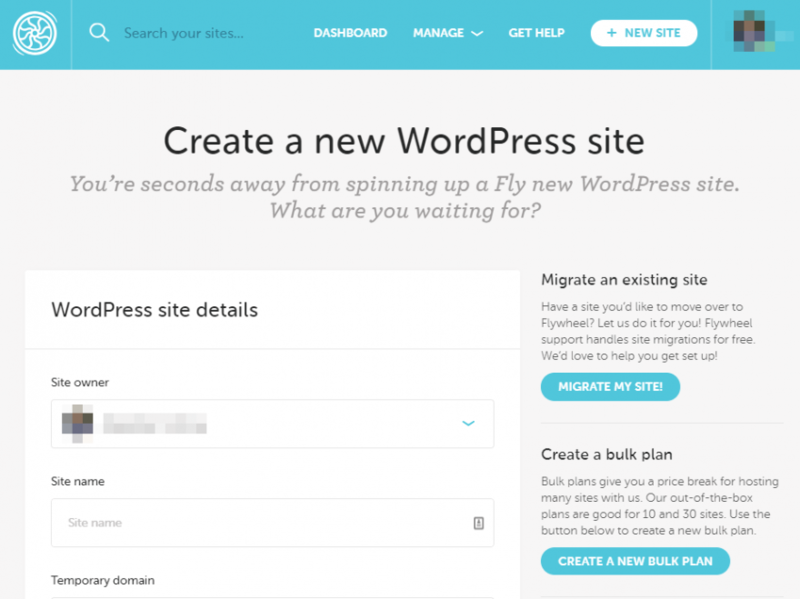 Flywheel is a managed WordPress host that caters itself to that second crowd. If you take a look at their website, you’ll notice almost their entire pitch is built around how their services can make your work easier. In short, we like the platform a lot, but it’s definitely not for everyone (nor is any web host, for that matter). With that in mind, we’re going to break down what separates Flywheel from other managed WordPress hosts, to help you decide if it’s for you. When it comes to picking a WordPress host, the three most important factors are price, ease of use, and features. We’ll cover the first two in a minute, but for now, let’s talk about functionality. 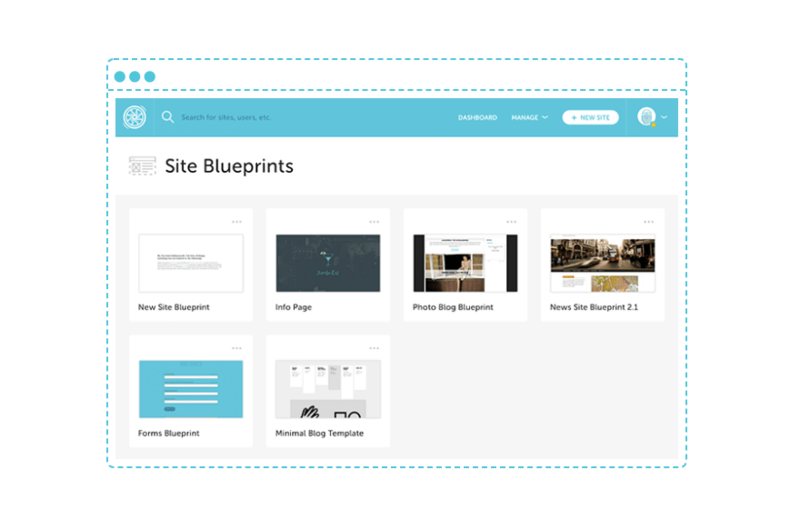 Flywheel offers a feature that enables you to save snapshots of a WordPress website as ‘blueprints‘. Then, you can use them later as templates for new sites. You can save up to ten of these handy blueprints to your account indefinitely. If you make sites for clients, there are probably plugin and theme combinations you re-use throughout the sites you work on. With blueprints, you can save those combinations and generate sites with them, saving you some time. Overall, it’s an excellent feature, but one you’re unlikely to touch if you’re not a developer. Staging functionality is becoming pretty common nowadays, at least among good web hosts. It enables you to create a copy of your live website and use it to test changes safely. Then, once you’re done tinkering, you can ‘push’ those updates live, confident that you won’t break anything important on your website. Since staging websites aren’t all that uncommon, we decided to focus on how easy it is to manage them using Flywheel. Staging isn’t enabled by default for new Flywheel accounts, so you need to go into your settings to turn it on. Having said that, the process is perfectly straightforward, although it can take a while for the staging copy of your site to be ready, depending on its size. 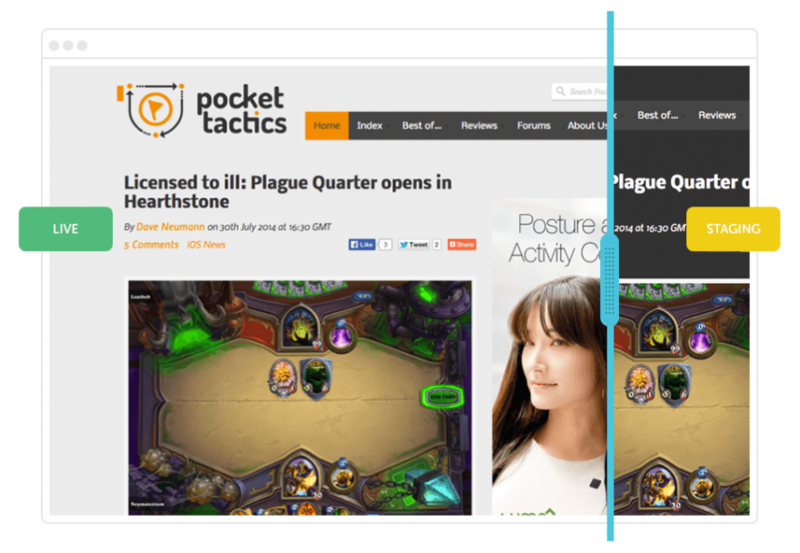 It’s worth noting that you can have staging copies for multiple Flywheel websites. However, the feature doesn’t work with WordPress multisite, which is par for the course. Aside from that, the initial setup is simple. You can push changes live just by pressing a button, so it’s a pretty streamlined system. The only bad news is that if you use the Tiny plan – which is the basic Flywheel tier – you don’t get access to staging websites. According to the company, that’s because they’re too resource intensive for the Tiny plan, which is understandable but sad news. However, Flywheel also offers another approach that enables you to test changes to your site safely. There are a lot of ways to create local WordPress websites. However, a lot of them aren’t particularly user-friendly. Flywheel, on the other hand, offers a tool called Local by Flywheel that enables you to create locally hosted WordPress websites with a few clicks. It stands out due to an amazing user interface. We took a close look at Local when it came out a while ago. Since then, we’re pleasantly surprised with the number of features they’ve added. For example, you can now push websites from Local directly to your Flywheel account, if you have one. This distinction is important because Local is available for anyone to use for free, even if you don’t have a Flywheel account. There’s also a premium version for teams, starting at $50 per month. This version enables you to deploy Local sites as staging copies to your Flywheel account. Aside from that, free users get access to all the other features Local offers. You can set up unlimited local websites, create demo URLs so other people can access them, set up blueprints, and more. Overall, Local is a fantastic tool if you like working with local WordPress websites and don’t want to mess around with software stacks or virtual containers. A lot of times, clients will already have hosting set up when they come to you for help with a WordPress website. However, others expect you to take care of it, usually because they’re not sure how to pick the right provider. This also gives clients access to the Flywheel dashboard. However, you get to keep a separate collaborator login that has full access to all the same privileges. This way, you don’t even need to worry about handing off credentials once the work is done. To be fair, you probably won’t touch this feature at all if you’re just looking to host a website of your own. However, it’s nice to have the option there, particularly if you’re a developer or designer. Is Flywheel the Right Hosting Provider for Your Website? You want a hassle-free hosting experience for your website and don’t mind paying a little bit more for it. You work with a lot of websites and you want a host that enables you to efficiently manage projects in bulk. You’re a developer or designer and you just want access to some cool hosting features to play with. Flywheel could also be an excellent option if you want to set up a small WordPress website. Its Tiny plan is more expensive than shared hosting, but the price isn’t terrible for a managed service and all the associated perks. Now, if you need a bit more firepower for a single website, things get a bit dicier. More powerful plans for single sites come at $28 and $69 per month. At those price points, Flywheel doesn’t look too attractive. Finally, let’s talk about how Flywheel fits into the managed WordPress ecosystem. There are some web hosts that offer much cheaper managed hosting plans, but they usually don’t include as many features as Flywheel does. Alternatively, there are other providers with much higher price tags that primarily target demanding, cutting-edge websites. Flywheel is pretty interesting in that it offers a middle-of-the-road approach. Its prices are pretty great if you work with WordPress for a living, and it shouldn’t give you many headaches. Plus, you get access to a lot of cool features, so it gets a thumbs up from us. Managed WordPress hosting offers a very hands-off experience that enables you to focus on the day-to-day tasks of running and growing your website. However, it almost always comes at a higher price tag, and Flywheel is no exception. Still, with single-site plans starting at $14 per month, Flywheel isn’t out of reach. 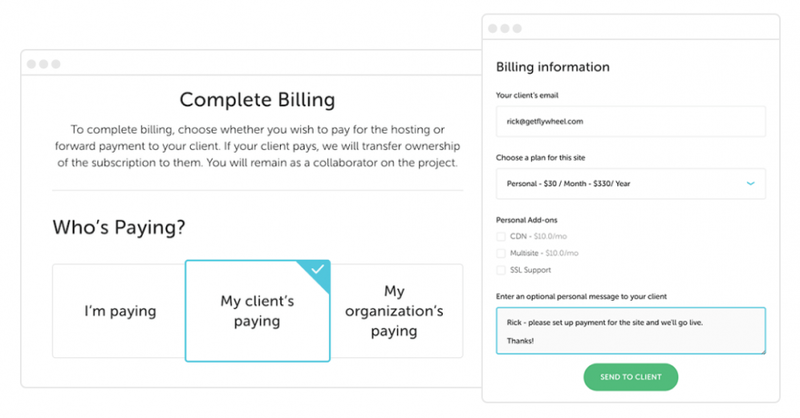 Plus, it offers helpful features for designers and developers, including Local by Flywheel and the ability to transfer hosting bills to clients. If your work involves creating WordPress websites, then Flywheel is worth considering. Do you have any thoughts about Flywheel’s managed WordPress hosting? Share your opinions with us in the comments section below! 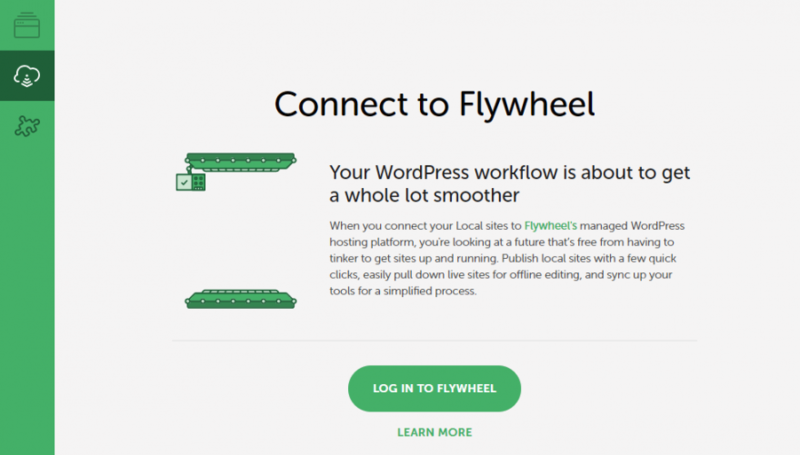 The post Flywheel Managed WordPress Hosting: An Overview and Review appeared first on Elegant Themes Blog.